Today we're going to make a contribution to the Internet of Things by sending SMS messages with a Seeed Studio LinkIt ONE. We'll use Twilio's Programmable Wireless for connectivity and Amazon Web Services' IoT and Lambda as our backend. To make it equally at home at... home, we'll also demonstrate how to accomplish the same task using WiFi. Sound like a deal? Let's shake on it! Sign in to your Twilio account. If you don't have an account yet, create one by signing up for a free Twilio trial. You'll need values from the console to finish this guide, so please keep a tab handy. You should also create an account with Amazon Web Services, which you'll need for the AWS IoT and Lambda steps. For this project, you need a number that is both SMS and MMS capable. Navigate to your current active numbers. In 'Capabilities', you'll see the functions available with your currently held Twilio phone numbers. We've provided code to connect to the internet over WiFi or 2G/GPRS. If you are using - or testing with - WiFi, you can set WIFI_USED to true. (See more detail in the connection section below). Once your SIM is in-hand, associated, and has a data plan, you can insert it into the LinkIt ONE. Be careful to only punch out to the medium sized SIM (if you do accidentally punch out too much, friction should hold the SIM in the medium SIM size). Note: the correct orientation is the reverse of most phones; the angled side should face outward. Note the orientation of the SIM card. Also, if you haven't yet, attach the antennas as shown above. American 2G networks are being deprecated. For new product development, we suggest researching alternatives or discussing your idea with the Twilio Programmable Wireless team. The LinkIt ONE with the Mediatek MT2502A SoC onboard has the power to hit the Twilio APIs directly with TLS. However, it's safer to build a more abstract infrastructure that doesn't leave any keys on the device. Take note: We do not suggest putting your Twilio Account SID or API Secret directly on your final product. As your device will be in the field, many people will have physical access; it is best to follow a similar model to the one we've built today. 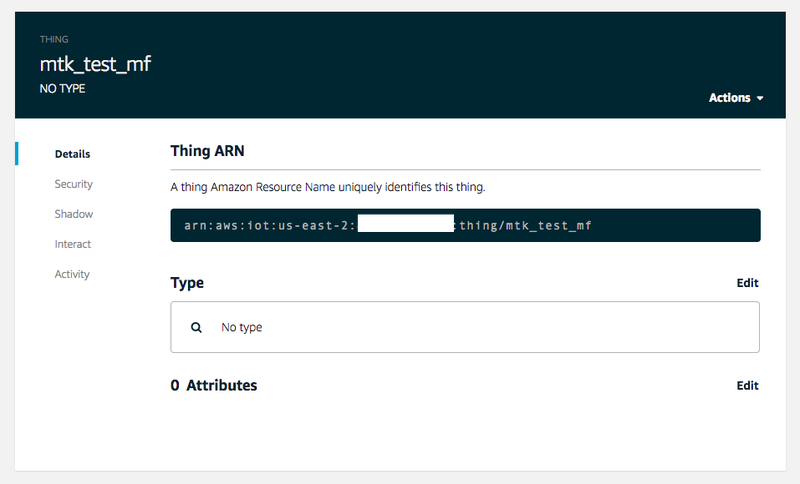 By using AWS IoT as a middleman, we're able to revoke a certificate simply and quickly if a device goes missing - without invalidating the certificates on all the rest of the devices. Visit the AWS IoT console. In the upper right-hand corner click the button to ‘Create’ a new thing. Show the optional configuration and create a new type, something like ‘LinkIt_One’. You don’t need attributes yet. Go to ‘security’ and ‘Create Certificate’. For the Root CA, you may need to Right-Click or Ctrl-Click and save it (name it something like root.pem). Before leaving 'ACTIVATE' the certificate. After you've finished that step, go back to the main IoT console. Go to ‘Security’ -> ‘Certificates’ and select the certificate we made. Attach the policy we just created to our certificate. Go back to the main console. Now you’ll want to open a Test client to verify our Thing is working when it's finally all hooked up. Select 'Test' in the main console. Subscribe to the ‘twilio’ (lowercase) topic. 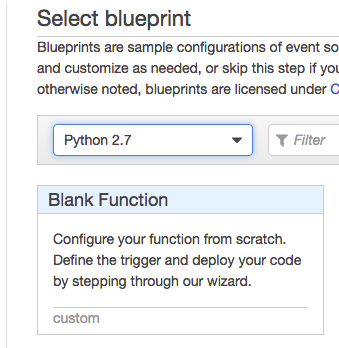 You can leave the other settings alone - that's all we need for our AWS IoT Setup! Now, let's move over to the board. Whether you will be using Programmable Wireless or WiFi, ensure your antennas are attached to the board (see the picture in "Purchase and Activate a Programmable Wireless SIM Card") - it's time to load some code! Left: MASS STORAGE is up, needed for firmware updates and uploading certificates. NORMAL is down, needed for running sketches. Middle: USB Power is up, use this for the demo. BATTERY power is down. Right: SPI Mode is up, you should use this because of the pins we are using. SD Mode is down if you add an SD card. For our demo today, we're going to be using the Arduino IDE. Arduino abstracts some of the more common issues we see on the hardware front. 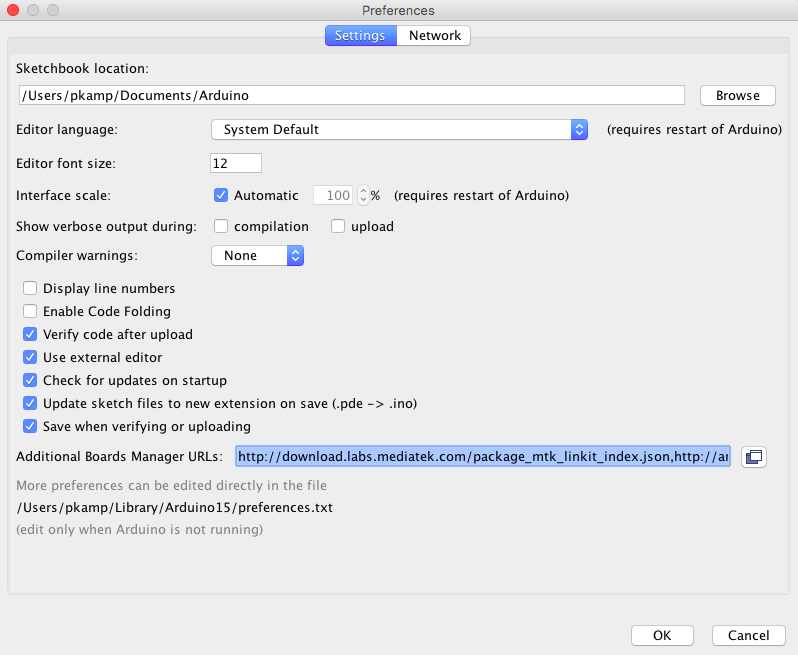 If needed, grab the latest version of the Arduino IDE here. Next, we need to install a USB COM/Serial Port driver for your operating system. Unfortunately, this part is platform dependent. When you are done, restart your computer. Some batches of LinkIt ONEs are delivered with an older version of board firmware. If you plug in your LinkIt in 'Normal' mode (see above) and still do not see Serial Ports in the 'Tools' menu of the Arduino, you probably need to update the firmware. Note: It is non-destructive to update the firmware if you already have the newest firmware, this should not brick your board. 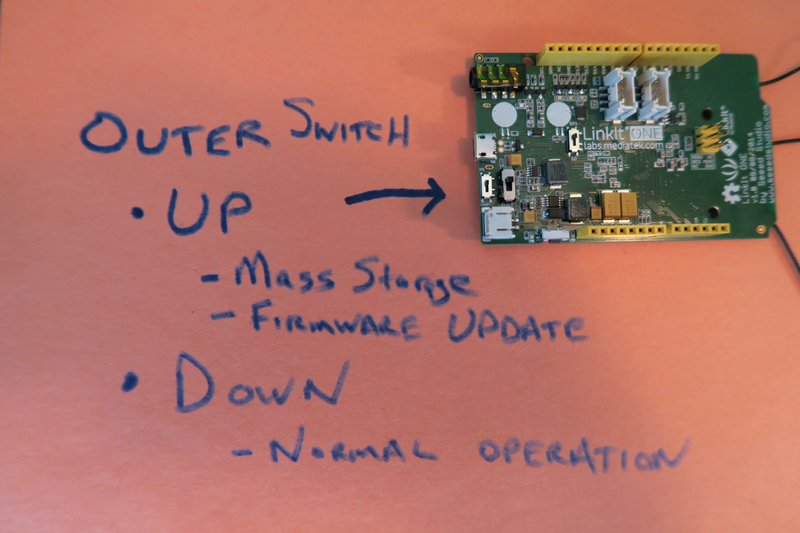 Here is our write-up for how to update the onboard firmware. If you haven't yet, reopen the IDE. Select ‘Sketch’ -> ‘Include Library’ -> ‘Library Manager’ from the menu bar. In the screen that shows up, search ‘json’ and click to install ArduinoJSON by Benoit Blanchon. From the AWS mbedTLS MediaTek Demo repository, choose ‘Download ZIP’ from the ‘Clone or Download’ menu. In Arduino, select ‘Sketch’ -> ‘Include Library’ -> ‘Add .ZIP Library’, and the ZIP file. Follow along with the main MediaTek instructions at the same time as this section. Note the full name of the certificates, and also note the extension. You need the names to match perfectly in the code. You're now ready to start programming the LinkIt ONE. Double click the '.ino' file inside, which will open the sketch* in the Arduino IDE. * An Arduino 'sketch' is a project, and all code is contained inside the same folder. For more on sketches, see here. 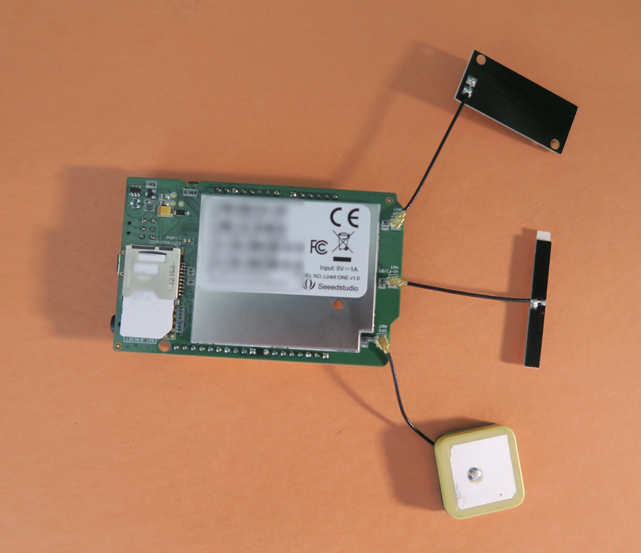 The sample application is set up to either connect through Twilio's Programmable Wireless over GPRS or via WiFi. To use WiFi, you should change WIFI_USED to true, as well as edit the variables WIFI_AP, WIFI_PASSWORD, and WIFI_AUTH. Connect to the internet via WiFi or GPRS and Twilio's Programmable Wireless. If you choose to use GPRS, you can leave the details in place. Let us warn you now: transcription errors between the certificate names and the code cause a lot of issues in this step. You should edit the certificates here to exactly match the names of the certificates in the root directory of the LinkIt. Also, the root certificate's name must be shorter than 32 characters long. You will see a flashing error if you do not use a shorter root certificate name - we have ours named as G5.pem. Additionally, at this point change the 'from' and 'to' phone numbers to be a Twilio number you own and a number that can receive SMSes or MMSes. If you cannot receive MMSes, you can add an empty quote in optional_image_path. Add certificate file names in the LinkIt code, a Twilio number, and a number to receive a text. This section of code is where we prepare our outgoing message. We assemble a to and a from number, a message, and an image (you can comment it out to send an SMS instead). We prepare the eventual message and publish it to an MQTT topic. Our helper code to send either an SMS or MMS with Twilio. Messages are carried via an MQTT then passed along to Twilio. The actual SMS or MMS sending only happens the first time because we have it wrapped in logic with a static boolean. Behind the scenes, the handle_requests() method comes into play, where we perform periodic functions like watching for replies - but that's the topic of another tutorial. You merely need to compile and run the code now. If you still have the 'test' MQTT Client open from the AWS IoT steps, you should see a single message published on the twilio topic. You did? Awesome! Now let's move to the AWS Lambda integration. So now you've got the LinkIt ONE and AWS IoT conversing over MQTT - you're most of the way to the prize. 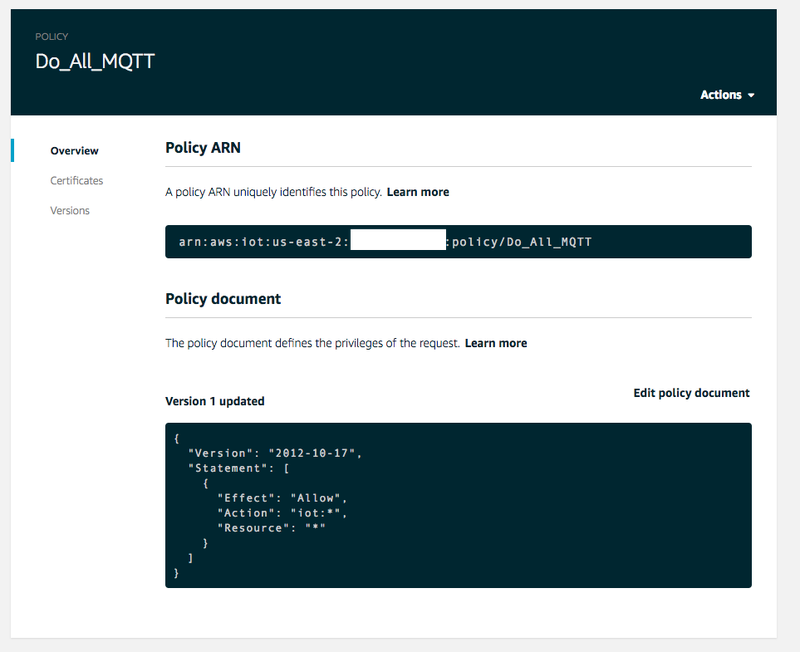 Our second middleman is AWS Lambda, where we will set up a function which is called for certain MQTT messages and will do the actual conversing with Twilio. In the Lambda Console, create a new function in the same region as the location of your IoT setup. Retrieve specially formatted messages from a MQTT topic and forward them to Twilio to text a phone number. We enter in the function iot_handler and do some very brief exception handling. If we are sending an MMS, we append an image URL to the message. From there, we create a dictionary in the send_message function. Then we use the Twilio Python Helper Library's client to create and send the message out. The ZIP file packages all of the dependencies so you don't have to worry about installing them on Lambda - just upload the ZIP file and you'll be 90% of the way there. Next up, let's get you that last 10%. Select ‘Create new role from template(s)’. In production, you will want to keep a careful eye on these. Head back to the ‘Code’ Tab. You need to set two Environmental variables for Lambda to communicate with Twilio: AUTH_TOKEN and ACCOUNT_SID. Save one more time, and we're ready to move on from Lambda. There is just one more step in AWS IoT before everything is ready! If you're confident, it's time - power cycle your board and see if you get a text message! Look at what you've now built: a device equally at home with 2G or with WiFi that can be deployed in the field and send SMSes at will. 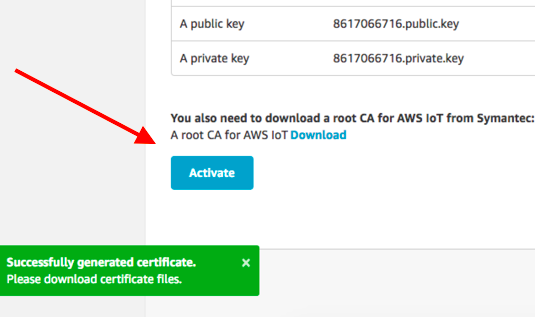 If the device is compromised, you can revoke the certificate near-instantly through AWS IoT without impacting the rest of your Things. Nifty, right? What's next? Since you've now built outbound messaging on the LinkIt ONE, perhaps you'd next like to visit our guide on receiving SMSes and MMSes with the LinkIt ONE, Programmable Wireless, and AWS IoT and Lambda. We also have some awesome beginning to end Blueprints that use Programmable Wireless. Whether you've now got what you need or you're going to keep building, keep in touch with us on Twitter! We're very interested in your Internet of Things project, and we can't wait to see what you build.